Crystal Palace midfielder Cheikhou Kouyate remains adamant that loan striker Michy Batshuayi can score the goals to help the Eagles steer clear of relegation. 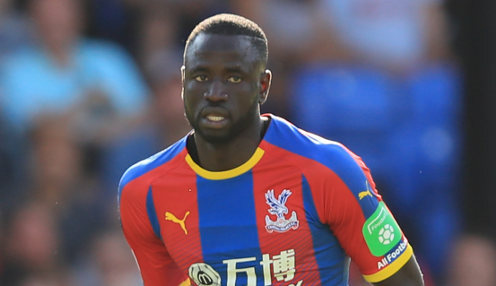 The 25-year-old Belgium international has netted just once in five appearances for Palace since his arrival from Chelsea, but Kouyate is confident that Batshuayi will deliver in the run-in to another tense Premier League survival campaign. He told the Evening Standard: "He has come in here to show everyone what he can do. Now I am not worried about him as this guy is going to score more and more goals here. Now I am not worried about him as this guy is going to score more and more goals here. "He likes to score every game and he is going to help the team score more goals because he is young, hungry and he wants to do something." Meanwhile, Eagles boss Roy Hodgson has confirmed that defender Aaron Wan-Bissaka has recovered from a hamstring injury and is in contention to feature at Burnley on Saturday. He told his club's official website: "Aaron Wan-Bissaka's fit again now, that's a boost for us. It's been a fantastic year for him. "I like how hard he works and how firmly he has been able to keep his feet on the ground. His consistency, work-rate and humility to learn and grow are all wonderful assets." The Eagles, who defeated the Clarets 2-0 at Selhurst Park earlier this season, are 13/8 to claim all three points at Turf Moor on Saturday, with the draw priced at 23/10. Meanwhile, Palace are 9/4 to keep a clean sheet on Saturday.